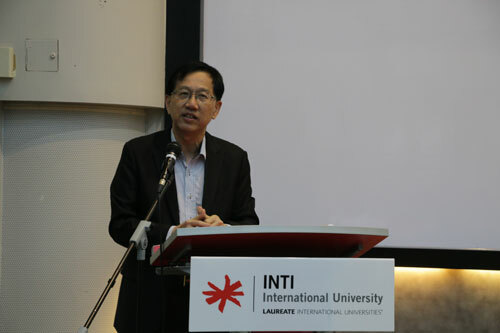 INTI International University recently hosted a guest lecture talk with Dr Tan Yew Sing, Founder and Chairman of INTI International University & Colleges who is also the President of Malaysia-China Chamber of Commerce, to share on future opportunities brought by the Belt and Road Initiative. The insightful talk was attended by around 300 local and international students. Dr Tan Yew Sing – “Belt and Road” initiative offering the potential for opportunities without borders. The ‘One Belt’ refers to the economic belt along China’s traditional Silk Road connecting China with Europe while the ‘One Road’ is the new ‘Maritime Silk Road’ between China, Southeast Asia and Africa. The aim is for China to invest in the infrastructure and linkages associated with these ‘Roads’ to help bolster its overseas trade and Asean countries are prioritized on the Maritime Silk Road. Furthermore, Malaysia is strategically located at the centre of Southeast Asia and holds the Straits of Malacca as an incomparable advantage in the cooperation of the construction of the 21st Century Maritime Silk Road. 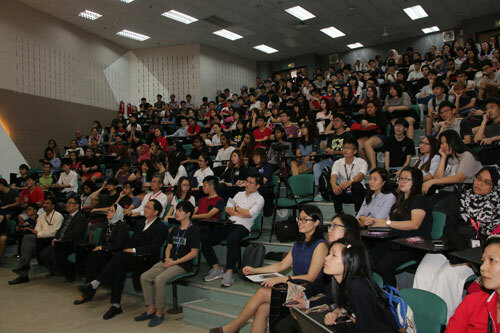 The insightful talk was attended by around 300 local and international students. “In promoting belt and road initiative, it is imperative to ensure cultural dialogue between different civilizations, and adopt common universal values proactively to achieve a peaceful world. Therefore, with possessing the skills to apply knowledge in real-life situations and to be equipped for full participation in society would enable student to continually adapt successfully to a rapidly changing business environment and situation,” he added. “INTI bring in guest speakers to share their insights and experiences with students, if you are able to hear from someone who has followed a similar path as yourself, telling you this is what we’ve done, even if you fail that’s fine, go for it, is really inspiring.” Concluded Professor Dato’ Dr. Rahmah Mohamed, Vice Chancellor of INTI International University.